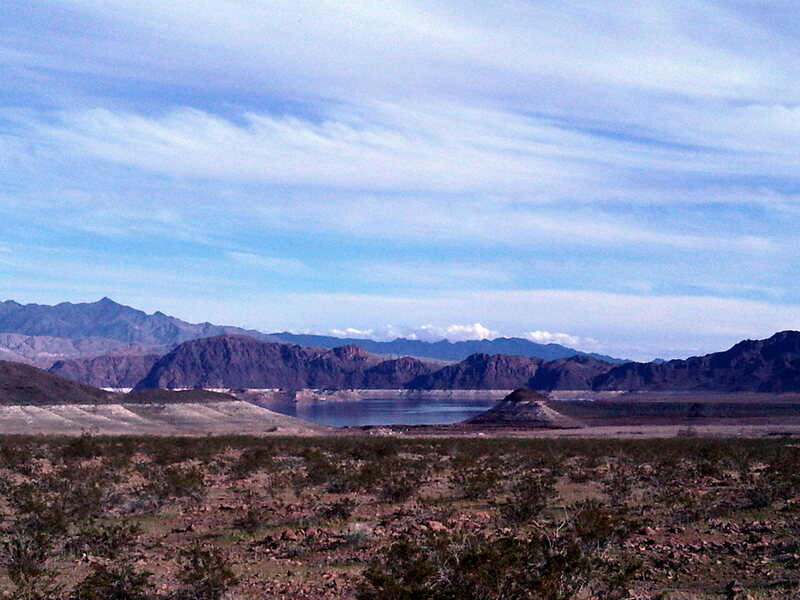 A couple Sundays ago I was riding my bike on the River Mountains Loop Trail passing the old Lake Mead Marina. In the years my husband and I had been boating, I never noticed the path which ran along the launch ramp so I veered off the bike trail to explore. The narrow but paved path eventually lead to a couple old fishing docks. Judging by how far below the dry ground was from the old dock, decades must have passed since the last fish was caught there. 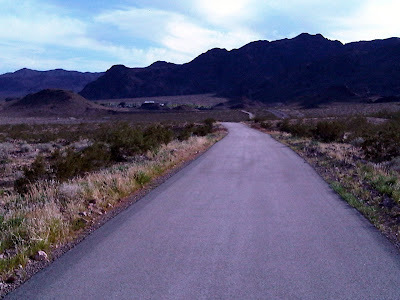 When the paved road gave way to hard dirt and gravel, I stopped to take in the view (not wanting to get a flat either). I could see some heavy machinery digging and pushing dirt where there had once been shallow water at the end of the launch ramp. A dam was created at the mouth of the cove to hold back the water from the lake. 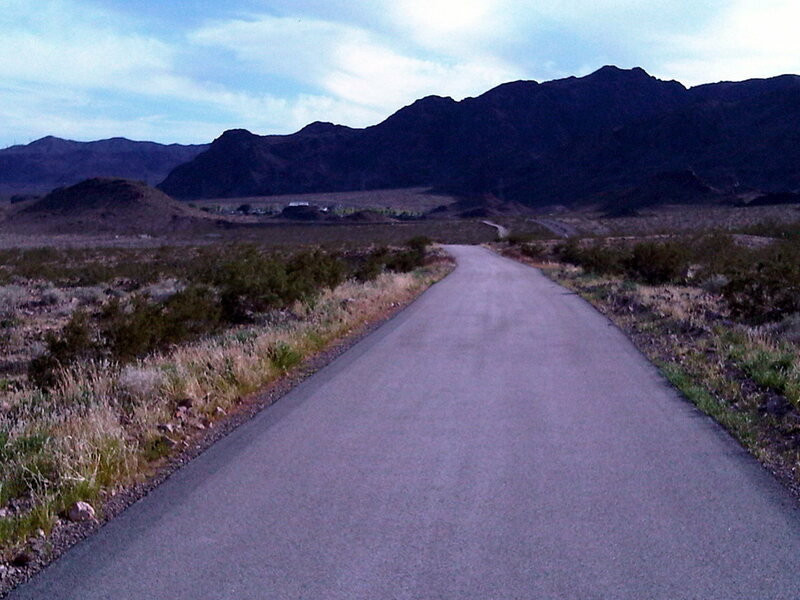 I had passed a couple people walking the same way I was going so when they hlowad caught up to me, I asked them if they knew about the activity occurring down below where the Lake Mead Marina had been. The area is now a dry tub of dirt and it's hard to believe there use to be boats in their slips, a general store, restaurant, and people going back and forth. 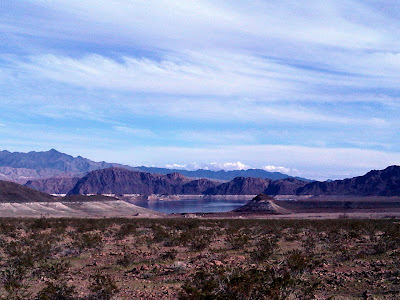 I remember when John and I went to launch our boat in March '08 and the Lake Mead Marina had been moved to Hemenway Harbor because the water level was too low. But even though the marina was gone, people were still able to launch their boats at this location. Apparently the water level dipped even lower, the launch ramp was closed down. That day I had started my ride late--around 1:30 p.m. and didn't realize how much time had passed. 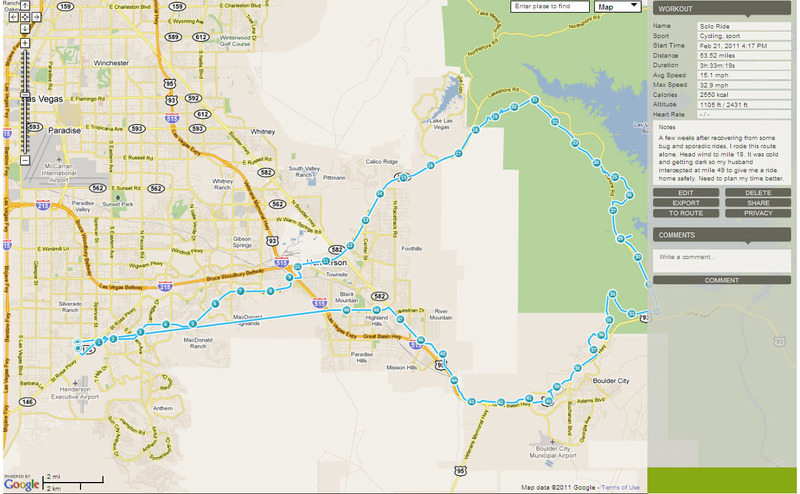 On the map above I rode from starting point on far left and went clockwise. 49 miles in to my ride, it was getting dark and cold. I got caught in peak traffic and had not packed safety lights for my bike so I called John who was leaving from work to pick me up.